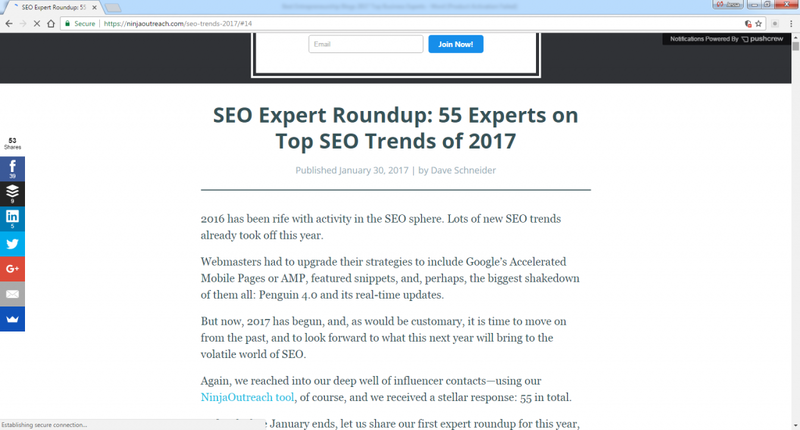 Ninja Outreach gathered 55 of the best tips on SEO for 2017, and I was happy to contribute. You want to get the New Year started off right, and for me that means paying attention to voice assistance when crafting SEO strategies. The reliance on such technology has shifted how we utilize keywords. It’s common for users to speak more naturally to voice assistants instead of in the choppy, partial sentences we use when we type searches. Instead of typing “dog groomer Austin,” we would likely say, “Where’s the closest dog groomer?” Keywords are at the heart of SEO, and understanding how voice assistants are influencing SEO is paramount. Others agree, saying that 2017 is all about long-tail keyphrases. There’s also an increased focus on content engagement, and—sadly for those who love shortcuts—the era of easy Google rankings are officially over. Keeping in mind that SEO is constantly changing is another great tip. It keeps you on your toes, and if the state of SEO at the moment doesn’t suit you, don’t worry. You’ll just need to hustle harder for awhile until it changes.